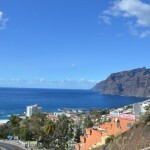 Tenerife is the largest island of the Canary Islands with an average temperature of 25°C (77°F) in the hottest month September and the coldest is January at 19°C (65°F). 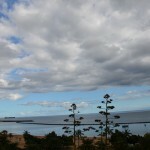 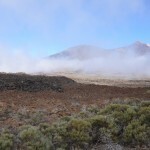 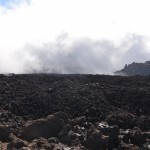 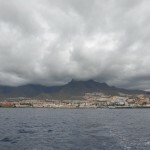 We stayed in Tenerife for one week so that we planned to be 4 days in the south and 3 days in the north to see the most of the island. 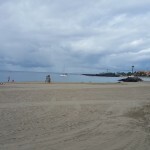 We started our vacation in Costa Adeje and Los Cristianos. 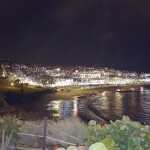 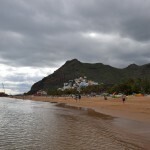 This area is very touristic and british bars, pubs and souvenir shops are mostly situated along the seaside. 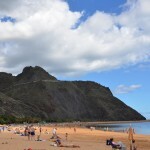 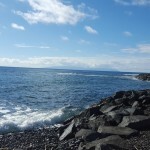 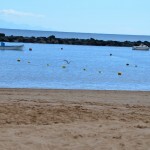 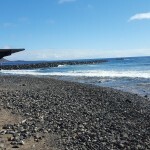 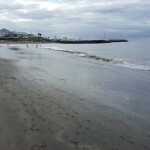 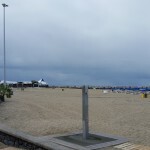 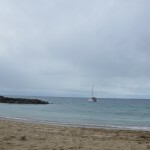 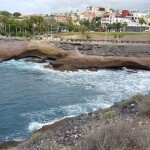 Popular beaches are Playa Fañabé which is a black sand beach, Playa de Las Americas, Playa de Los Galletas, Playa de Las Vistas and Playa de Los Cristianos. 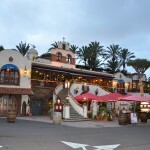 It was difficult to find a good restaurant with traditional spanish food. 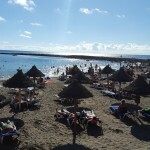 We recommend the “Chill Out” restaurant at Playa de Las Vistas in Los Cristianos. 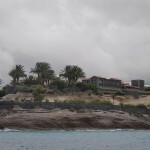 We had an excellent Chateaubriand and the service was perfect. 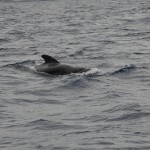 In advance we booked a 3 hours whale watching tour with canarycharter. 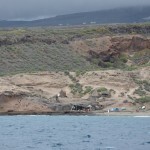 Ivan, the owner of the boat, was very friendly and helpful. 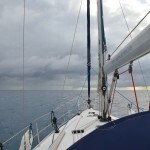 We chose this charter because we didn’t want to be on a boat with full of tourists. 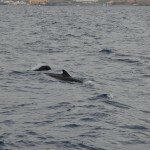 All in all we were 8 people on the boat. 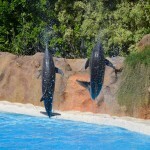 We had to pay 125 € for 2 adults and 2 children (age 1 and 7 years). 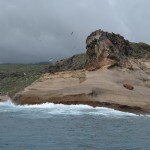 Furthermore the tour included drinks, snacks and a 30 minutes snorkeling stop in a bay. 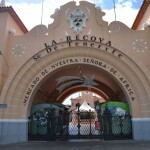 The Mercado Parque la Reina is a little local market in La Reina with spanish products (fruits, fish, meat, vegetables, honey, mojo rojo, sauces, spirits, etc.). 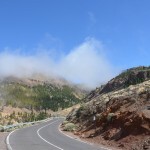 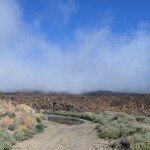 On our way to the north we drove up to the Parque Nacional Del Teide which is at 2100 m above the sea level. 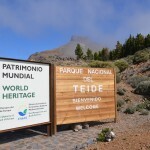 The volcano Teide is the highest mountain in Spain with 3718 m. The moon landscape and the views in the national park are breathtaking. 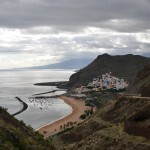 Don’t forget to bring warm clothes because the temperatures lie about 9°C (48°F). 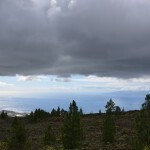 If you like to do biking tours, there are plenty of mountainbike routes in the forests. 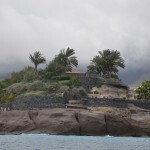 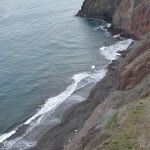 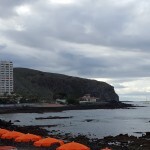 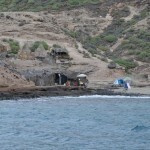 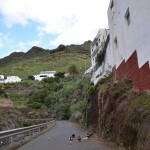 Our next destination were the Los Gigantes in Puerto de Santiago. 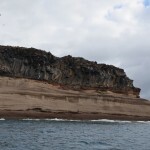 These are giant rock formations that rise from the sea to a height of 500-800 metres. 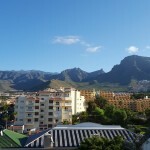 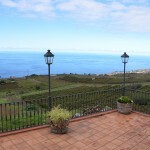 In north we stayed in a house next to Terrazas del Sauzal in El Sauzal, which has a beautiful view to the Teide. 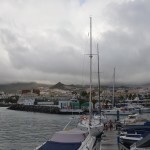 Furthermore the location is close to the next cities, La Orotava (15 km), Santa Cruz de Tenerife (25 km) and Loro Parque (22 km). 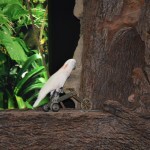 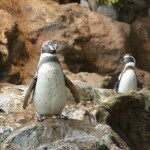 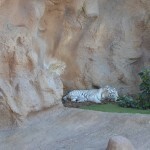 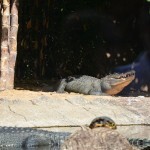 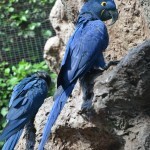 Loro Parque is a nice zoo with different kinds of animals but especially focused on parrots. 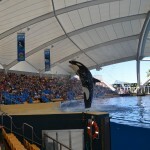 The animal shows (sea lions, orcas, dolphins, parrots) were fantastic. 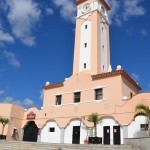 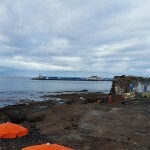 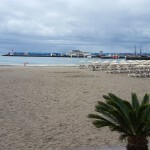 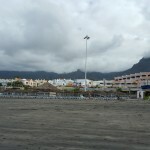 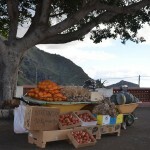 In Santa Cruz de Tenerife we visited the Mercado de Nuestra Senora de Africa and the Playa Las Teresitas. 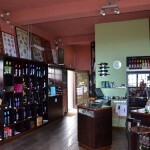 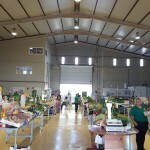 Numerous shops are located at the market with a large choice of products. 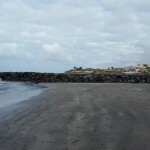 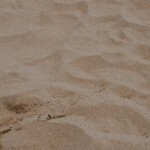 The Playa Las Teresitas is a synthetic beach with nice Sahara sand. 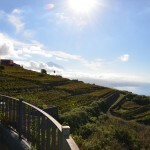 Of course we had to taste the local vines from Bodegas Monje and Casa del Vino. 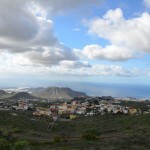 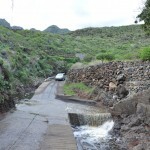 Both are located in El Sauzal. 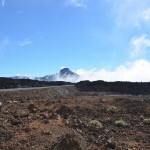 On the one hand at Bodegas Monje we liked the view on the terrace to the volcano Teide. 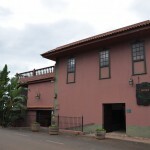 On the other hand we appreciated the vine tasting at Casa del Vino. 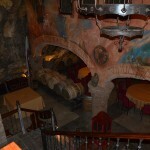 Finally we finished our vacation with a dinner at Mesón El Monasterio in La Montaneta. 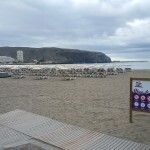 There are a few restaurants with a wide selection of food. 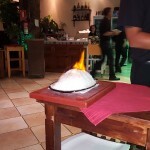 We ate at La Bodega San Pedro and the dish (meat on hot stone) was excellent.